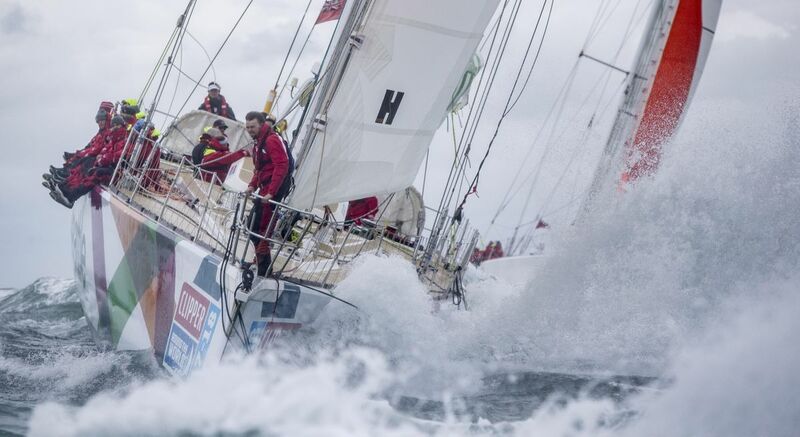 The Clipper Round the World Yacht Race is looking for adventurous sailors to circumnavigate the globe, or part of it, in the 2019-20 edition of the race. No previous sailing experience required. Have you got what it takes? The Clipper Race is one of the biggest challenges of the natural world and an endurance test like no other. With no previous sailing experience necessary, this is a record breaking 40,000 nautical mile race around the world on a 70-foot ocean racing yacht. All that is asked of participants is a good level of fitness, an age over 18 - and a thirst for adventure into the unknown. Divided into eight legs and up to 16 individual races, over 700 race crew, representing over 40 nations and from all walks of life, complete the full circumnavigation or select individual legs. It is the only race in the world where the organisers supply a fleet of identical racing yachts, each with a fully qualified skipper to safely guide the crew. Normally the domain of seasoned pros, this supreme challenge is taken on by ordinary, everyday people. Having completed a rigorous training course, participants are suited and booted in the latest extreme protection gear to commence the race of their lives - an unparalleled challenge where taxi drivers rub shoulders with chief executives, vicars mix with housewives/husbands, students work alongside bankers, and engineers team up with rugby players. Applications are now open for the 2019-20 Clipper Round the World Yacht Race. Seize the moment, unleash the adventure. A yearning for adventure! You might like to visit the Clipper Race website or youtube channel beforehand. Please email Jilly on jstjohn | clipper-ventures ! com and let us know your phone number. Our team will get back to you as soon as possible. Yes, Eventbrite will email your ticket to you and our Crew Recruitment Co-ordinator will email you specific joining instructions about the event nearer the start. Please check your spam box as our emails sometimes get lost in there.